Click on any of the pictures to pull up a larger version. 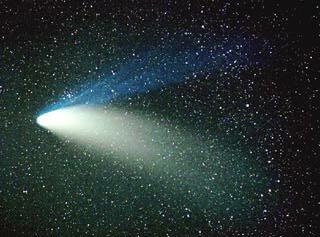 These images were obtained on March 17, 1997 under a reasonably dark sky using Fuji Super G 800 Plus film. 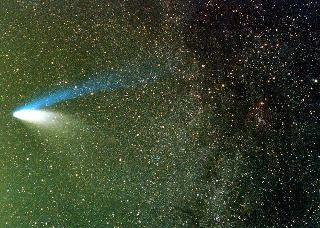 The site is located about 5 km from Svalov in southern Sweden (latitude 55d54' North). The first picture was taken at 01:50 UT using a 50 mm lens stopped down to somewhere between f/2,8 and f/4 in order to reduce the effects of lens aberrations. Exposure time 8 minutes. Picture number two was shot at 02:20 UT with a short telephoto lens (f=135 mm) stopped down one step to f/4. 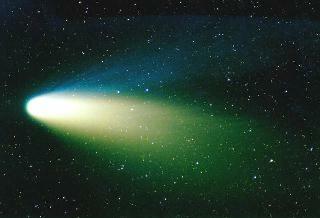 The film was exposed to the light from the comet for 12 minutes. The third image was taken at 03:35 UT just before the sunlight started to interfere with my photo session. For this reason the exposure time was limited to 6 minutes and the 400 mm lens was used wide open at f/5.6. 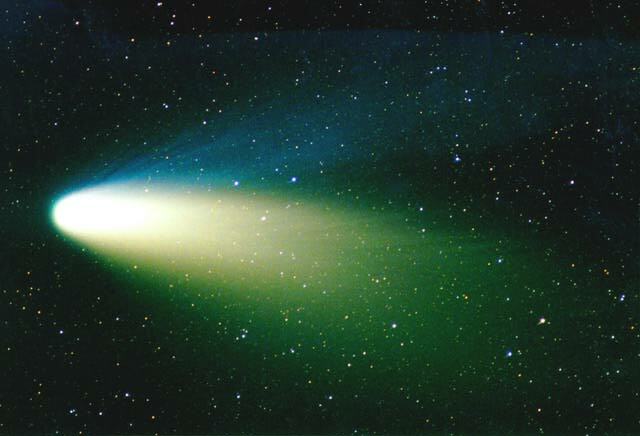 On March 17, 1997, the second picture above (ask4.jpg) was selected by NASA as the main illustration of the Comet Hale-Bopp Home Page maintained by the Jet Propulsion Laboratory. These images were obtained on April 6, 1997 using Fuji Super G 800 Plus film. The site is located about 5 km from Svalov in southern Sweden (latitude 55d54' North). The first picture was taken at 20.14 UT with a 135 mm lens stopped down to f/4. Exposure time 8 minutes. The second one was taken at 21.14 UT with a 400 mm lens used wide open at f/5,6. Exposure time 6 minutes. 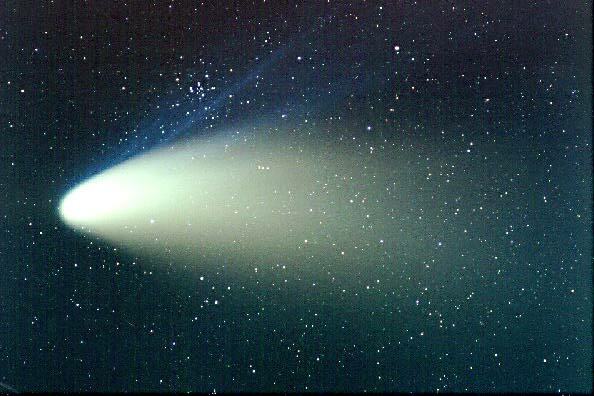 On April 7, 1997, the second picture above (ask6a.jpg) was selected by NASA as the main illustration of the Comet Hale-Bopp Home Page maintained by the Jet Propulsion Laboratory. 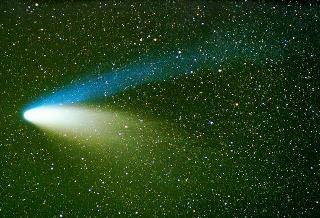 Please also check out my general astrophoto page. Interested in other astronomy sites? My astronomy links will take you there.